Deus Sceptrum is an ‘internet band’. This basically means the band members are living in different places all over the world. It is an interesting concept and it seems to work. Of course it’s more complicated to work on things that way… but it really seems to work. They’re doing a first album at the moment and were seeking for a neat cover. They had very specific plans about the look of it and i’m satisfied that i were able to match their ideas. 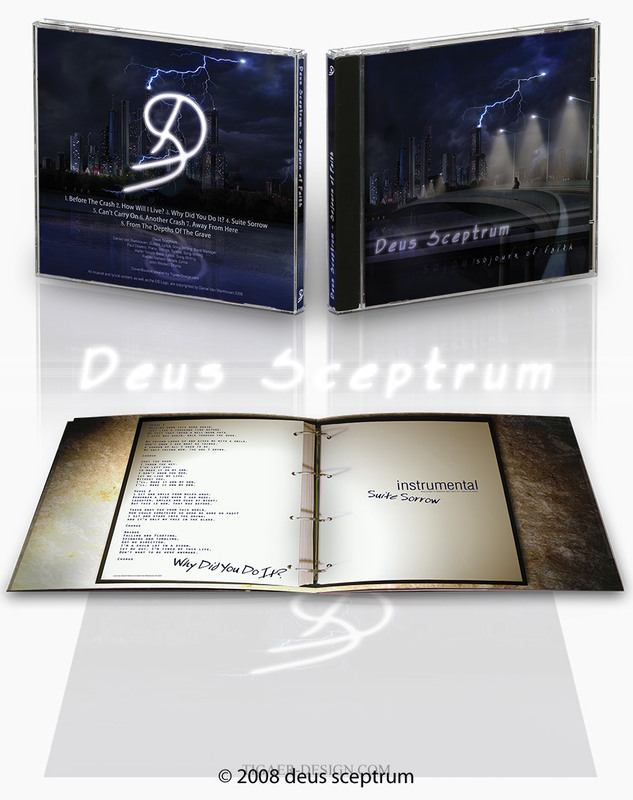 The cd cover contains the usual front cover, as well as a backcover and a booklet. This entry was posted on Saturday, March 22nd, 2008 at 14:47	and is filed under General, Paintings. You can follow any responses to this entry through the RSS 2.0 feed. You can leave a response, or trackback from your own site.